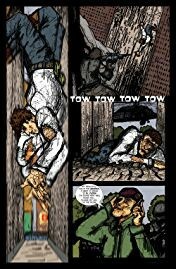 Hector Rodriguez is the creator of the comic book series El Peso Hero, coFounder of Texas Latino Comic Con, and one of the top ten most fascinating people of 2017 residing in Dallas according to the Dallas Observer. 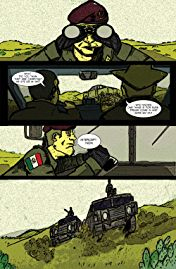 El Peso Hero is a comic book heavily influenced by the modern-day challenges people from both sides of the U.S.-Mexico border face. Defender of immigrants, hero to the disenfranchised, and growing vexation for the Mexican cartels, corrupt officials and human traffickers, El Peso Hero makes waves along the border. As a young boy El Peso Hero assumes his powers of super strength and unbreakable skin by accident and reluctantly enters the role of hero for the unseen and unheard. 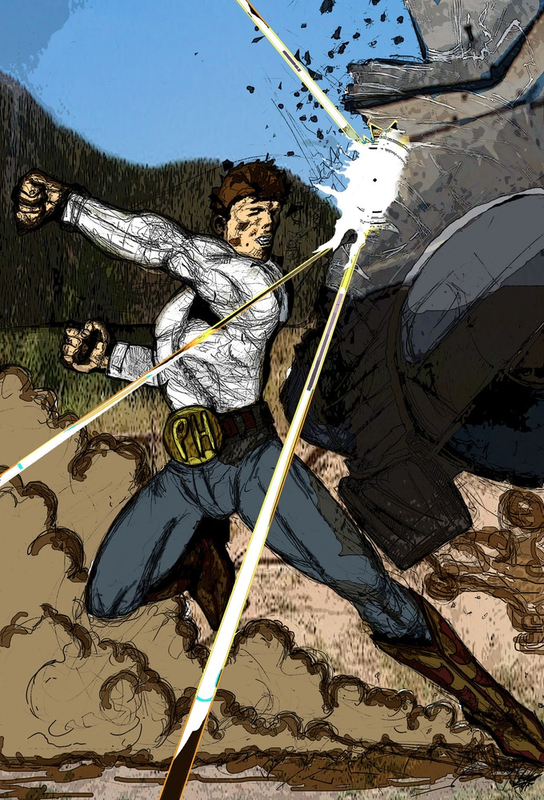 Through the unintentional influences of his family and community, El Peso Hero becomes aware of the need for a local hero. 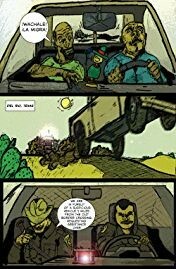 Crime waves are sweeping the city, cartels have lay of the land, and El Catrin, the local cartel boss, holds the puppet strings to the local government officials. 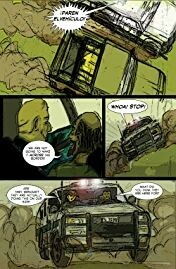 El Peso Hero steps out to defend the powerless in the series El Peso Hero, influenced by the modern day realities of those living on both sides of the U.S.-Mexican border; the results of which are often destructive and deadly. 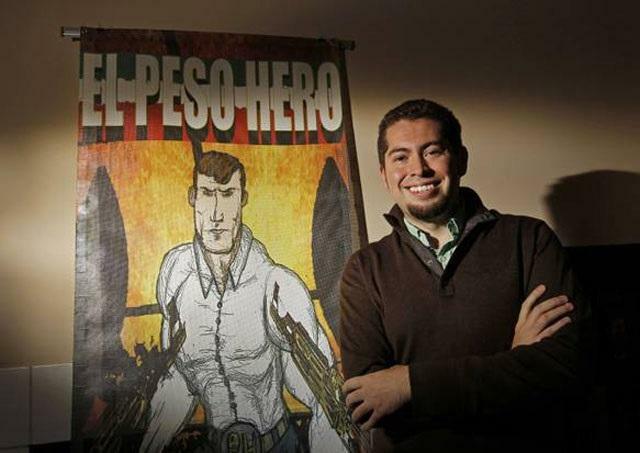 El Peso Hero has been one the most internationally talked about Latino superhero in decades. With modern social issues such immigration, human trafficking and institutional corruption, El Peso Hero has garnered attention and praise from the Latino community and been featured on Univision, CNN, Telemundo, Fusion, TV Azteca, Conexion Thalia and countless of other media sites worldwide. It has even won the prestigious Emmy Award for best news story by Univision news anchor Angel Pedrero. 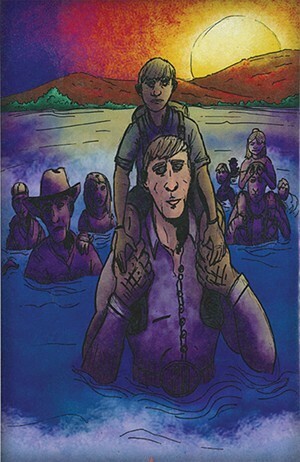 Among the appeal of the comic book is that El Peso Hero speaks only Spanish. 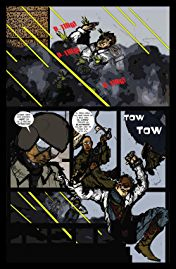 All of the other characters in the comic book speak English. It is important to portray rich diversity.